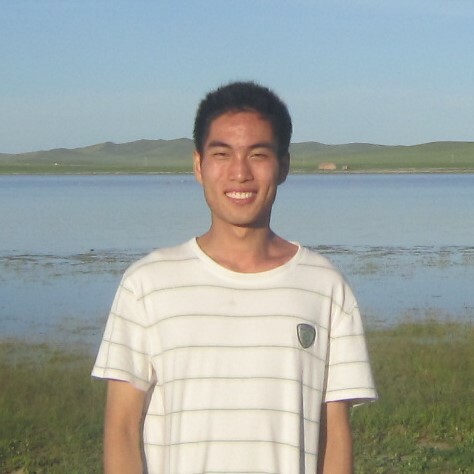 Ningdong Xie (Daniel): Visiting PhD student from Tianjin University. I am interested in the ecological and biogeochemical role of marine fungi and fungus-like protists (Labyrinthulomycetes) with emphasis on their contribution to marine microbial loops and their participation in global carbon cycles. My research focuses on quantifying and characterizing the abundance and genetic variability of Labyrinthulomycetes along environmental gradients in the coastal ocean of North Carolina, observing and modeling their relation or interaction with phytoplankton and bacterioplankton, and figuring out their distribution pattern, substrate preference, niche partitioning and role in the ecosystem. Courtney Swink: Third-year PhD student in the Johnson research group. 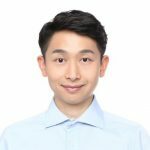 My research aims are to improve cultivation methods of microalgae for commercial production of algal biofuels and other valuable co-products. I am interested in pairing algal strains with their optimal growing conditions to enhance their performance in large scale systems in order to maximize algal biomass yields at lower energy costs. 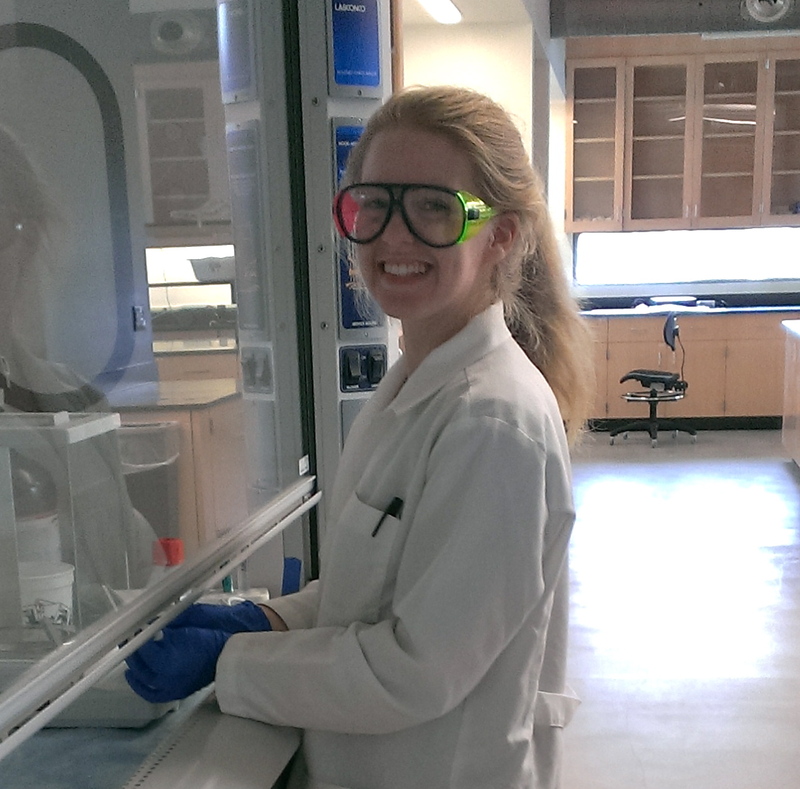 Sarah Loftus: Sixth-year PhD student in the Johnson research group. 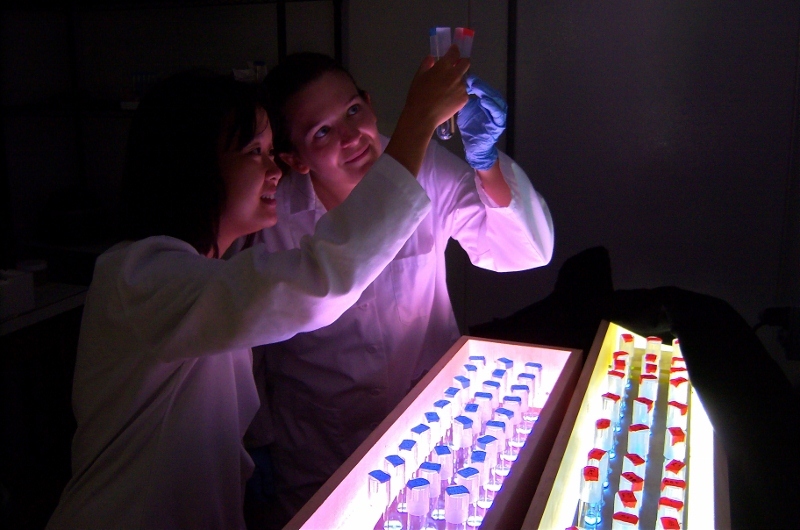 My research objective is to identify microalgae cultivation methods for more economical production of algal biofuels. I am researching how well microalgae can grow in recycled medium, because reusing water reduces energy inputs and costs. Growth in recycled medium can be influenced by certain dissolved organic compounds and bacteria, and I am interested in how these help or harm algae growth. Zhiying Lu, AKA”Bruce”: Postdoctoral research associate in the Johnson research group. I obtained my PhD degree from the Institute of hydrobiology, Chinese Academy of Science in 2015. My research objective is to developed economic and environmental sustainable methods for microalgae harvesting and culture media recycling. I am also interested in investigating the different roles of algogenic organic matter released by microalgae in the culture media, and exploring its potential application as growth factor or nutrient supplements. Zackary Johnson – PI: Assistant Professor of Biological Oceanography and Biotechnology Dr. Zackary Johnson’s research group studies the abundance, diversity and activity of marine microbes, focusing on Prochlorococcus, the most abundant phytoplankton in the open ocean. Our group also leads MAGIC (Marine AlGae Industrialization Consortium) that is developing microalgae as an economical and reduced carbon source of biofuel and protein. Dr. Johnson’s CV.